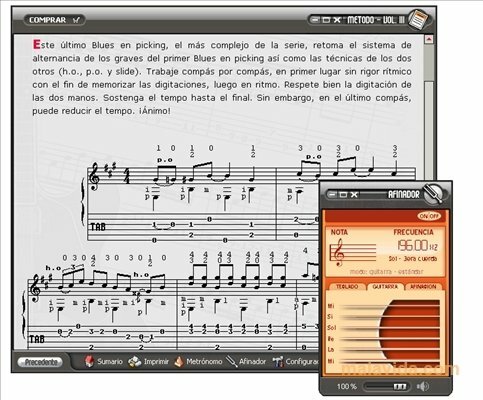 The guitar is one of the most used instruments in modern day music, that is the reason why many people want to learn how to play it, especially with the idea in mind of creating their own band. 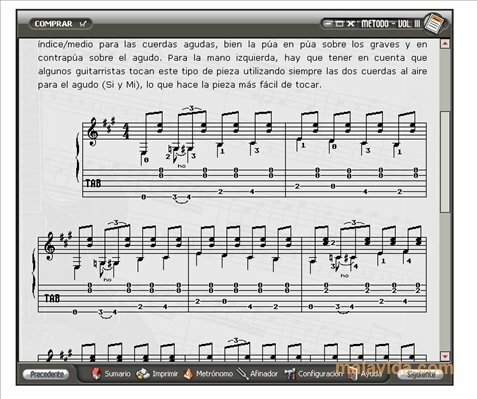 How to play the Guitar 3 is the third of a collection of interactive manuals and courses, thanks to which we will be able to learn how to play songs with this popular instrument, as well as getting to know and learning all the tricks and techniques that are related to the guitar. 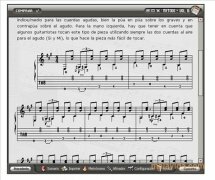 In this installment, we will get to know the secrets behind picking and how to play melodies with a plectrum, as well as learning how to play a basic blues song, thanks to which it won't be very difficult to play some chord cadenzas. 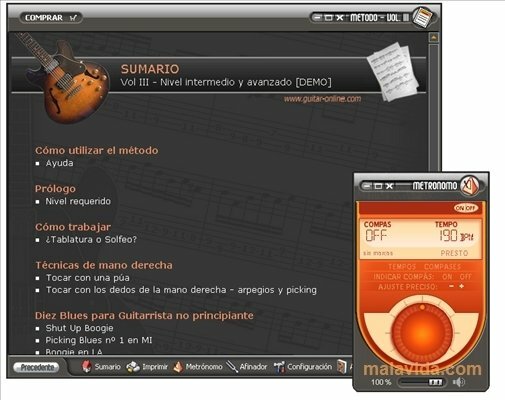 The interface of How to play the Guitar 3 is very practical because it allows the user to access any lesson with a single click of the mouse, without any requirement to browse through complex menus. 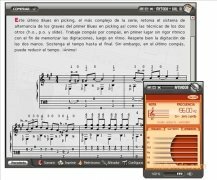 Download this complete course today, and learn how to play the guitar and improve your interpretative abilities.